Figures obtained by RTÉ News show that over 650 tenants had their Housing Assistance Payment stopped because they have fallen into arrears with their contribution to the payment. The Housing Assistance Payment is a form of social housing support provided by all local authorities. Under local authority rules if a tenant falls into arrears for eight weeks or more their HAP payment is stopped. A month before Christmas last year, Joan, not her real name, fell into rent arrears. She is a single mother with two children aged nine and 15 and is in receipt of the Housing Assistance Payment, but she was not able to keep up with total rent contribution of €80 a week. As a result her HAP payment was ceased and bills began to mount. "I'm not sleeping, not eating, I'm after losing about two stone in weight, it's just a nightmare. "I'm getting €256 a week and there's over €3,500 owed to the landlord plus another €750 at the end of March and I'm not in that position to pay that type of money. Asked if she thinks there should be some penalty for not keeping up with her HAP contribution, she says: "I agree that there should be some penalty but I think their penalty is very, very harsh. "I offered them the €442 I owed and on the phone...Limerick County Council told me I couldn't pay it because the landlord and the HAP contract was void basically." A letter sent to Joan from her local county council, seen by RTÉ News, included a warning that her payment would be permanently ceased if she did not pay the money she owed. Since the payment was rolled out in 2014, over 54,000 HAP tenancies have been set up. During this period HAP support has been stopped for 665 tenancies due to non-payment of rent. Limerick City and County Council provides HAP transactional-shared services on behalf of all local authorities. In a statement, the Department of Housing said if the tenant does not contact their local authority or does not enter into a payment arrangement within eight weeks of the arrears the HAP payment is stopped. It said people in arrears are given ample opportunities to engage and pay or enter into an arrangement to pay their rent arrears. The statement said that it is only after persistent failure to engage that eligibility for HAP being ceased is considered. 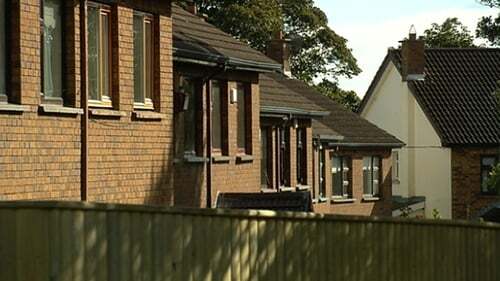 Sinn Féin's Housing spokesperson Eoin Ó Broin described the rules as "draconian". "Withdrawing a payment is not a solution to a family in difficulties, all that leads to is homelessness, increased stress for the family and increased cost for the State," he said. Wexford Fianna Fáil councillor Michael Sheehan also said the rules are unfair: "Close to 700 families nationwide would have lost their housing payment because the rules that Limerick is operating under are far too strict." In the past few weeks Joan was informed by her County Council that they would treat her case as an exception by allowing her to reapply for HAP - but only for the house she is currently living in. At a meeting she was told she would be liable to pay the €3,500 owed to her landlord, which has built up since her payment was stopped - which she says she cannot afford. Joan's landlord, John Murphy, said he has been left out of pocket and has not received a rental payment since November. He said: "It means that there is a property that's not generating any funds either from the tenant or from HAP. "It's a position where I could ask the tenant to leave but I don't. She has young children it would be difficult for me to ask someone in that situation to leave, I just couldn't do it." Joan said she is in limbo and at risk of homelessness if she cannot pay off her rent arrears of €3,500 and if her HAP payment is not reinstated. "I'll be homeless and I'll probably have to go to a B&B or I don’t know... I have two children. "We have family pets, so it's not just me I have to think about, it's the two children as well, we'll have to give away their family pets and it's just a nightmare."